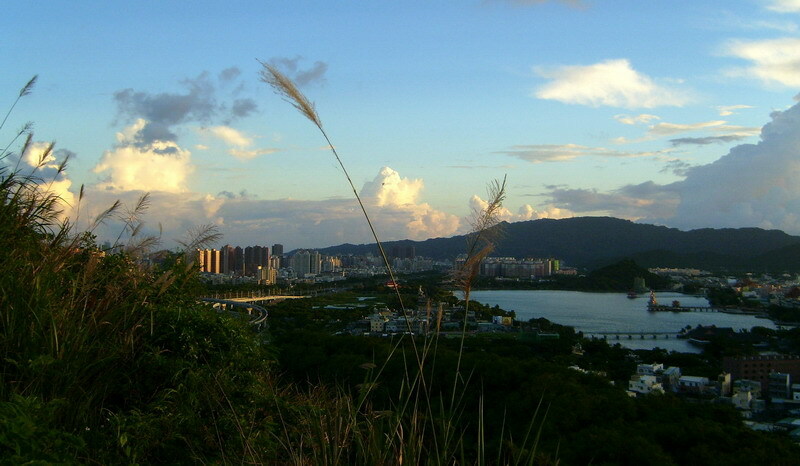 That is the view from one of the mountains of Kaohsiung city. It is the northern part of the city - Tsoying district. Actually the mountain visible in the background is in Gushan district. It is called Chaishan (Monkey Mountain for foreigners). The water is the Lotus Pond. Great tourist attraction.